The enthusiasm with which hikers flocked to the Appalachian Trail in its earliest days is testimony to the rapid growth of what historian Silas Chamberlin calls "club-based hiking" in the United States in the first half of the 20th century. 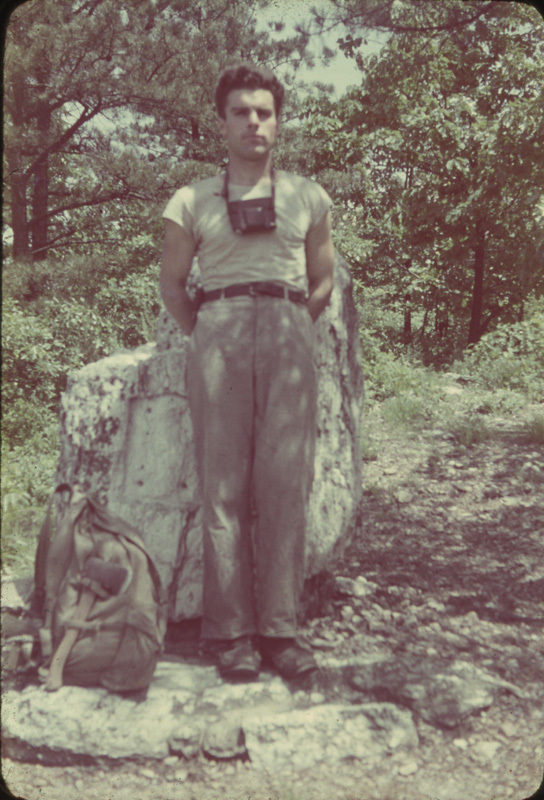 Although Benton MacKaye saw the Appalachian Trail as a place where working class people from the cities of the eastern seaboard would come for a day or two of restorative exercise, in reality, the Trail was largely the preserve of white middle-class hikers. What it was not, however, was a place mostly for men. 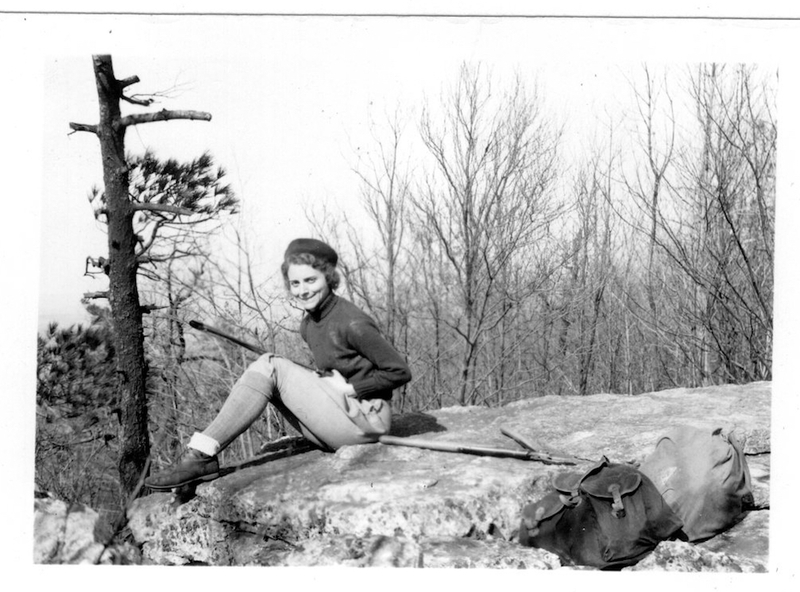 From the earliest days of the Trail's existence, it was a popular destination for women as well as men, and a number of the early Trail clubs had rules that required their membership to be evenly split between men and women. What these men and women shared was an enthusiasm for vigorous walking, for the mountains, and for the chance to walk with others who shared their love of the outdoors. Ever since the founding of the Appalachian Trail, the vast majority of its users have been day hikers, out for a few hours, or full a full day in the forest. But from its earliest days, the Trail was also a place for overnight, often long-distance backpackers, who carried everything they needed on their backs. The trail hiked by those early backpackers was often difficult to follow, either because it was poorly blazed, because the Trail was regularly rerouted and so guidebooks were often out of date, or because sections of the Trail were well maintained in some areas and not well maintained in others. 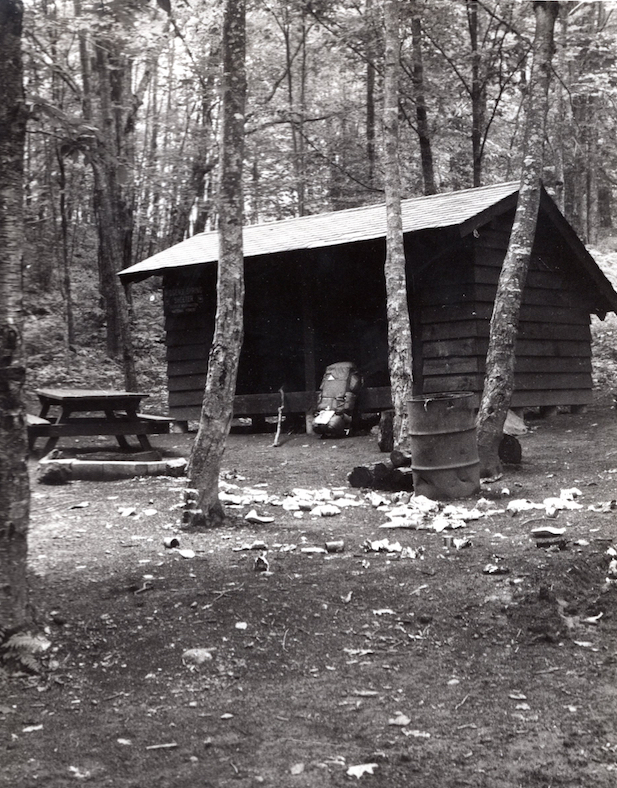 By the 1950s, however, the various trail clubs had significantly improved their care and maintenance of the Trail and so backpackers found it increasingly easy to find their way north or south along the Trail. The gear and supplies carried by backpackers from the first decades of the Trail's existence was remarkably similar to what backpackers carry today, with a few exceptions. Modern backpacking gear is much lighter and much more comfortable, dehydrated or freeze dried foods have replaced the pounds of sugar, slabs of bacon, cans of condensed milk, and cornmeal carried by early hikers, and almost no hiker today walks the Appalachian Trail with an axe strapped to their pack. Sleeping bags are substantially lighter and more compact. Butane, white gas, or alcohol stoves have replaced frying pans over cooking fires, and quick drying synthetic fabrics have replaced cotton and wool clothing. External frame packs made their appearance in 1952, and internal frame packs first hit the market in 1973. Despite all these innovations in gear, recommendations to hikers about what to carry in 1938 look remarkably similar to the recommendations one might see in 2018. 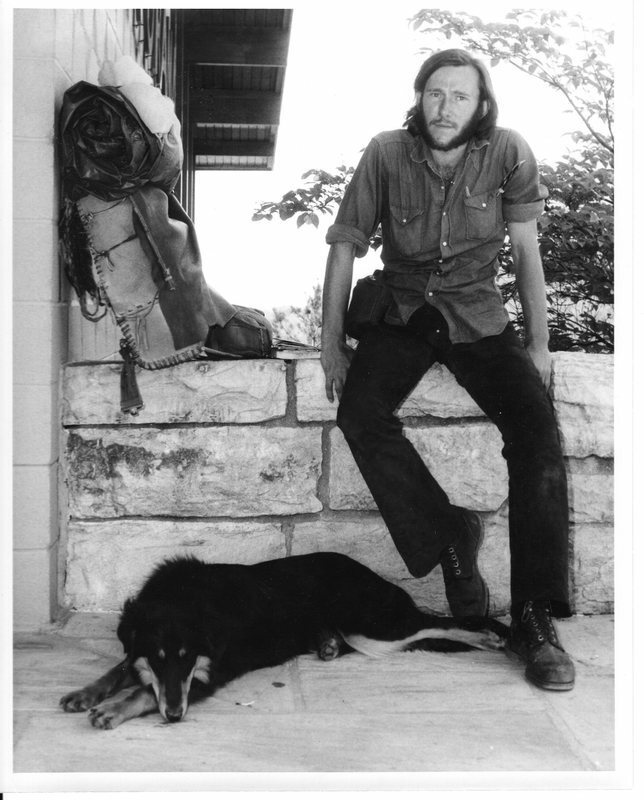 Since the early 1970s, the phenomenon known as "thru hiking" has come to dominate the way people think about hiking hte Appalachian Trail, but it was never the intention of Benton MacKaye or any of the founders of the Appalachian Trail that someone would walk the entire Trail in one year. The first person to walk every step of the Trail was Myron Avery, who did so in his role as chief architect of the project. After Avery, three members of the Philadelphia Trail Club hiked the entire Trail between 1932-1939 in sections because they wanted to complete it all. The first person to walk the entire Trail in one hiking season was Earl Shaffer, a veteran of World War II, who set out to "walk off the war" in the summer of 1948. Shaffer's achievement was so unusual that the leaders of the ATC were highly skeptical that he had actually managed to hike the entire Trail and they quizzed him at length before finally agreeing that he had, indeed, hiked it all. 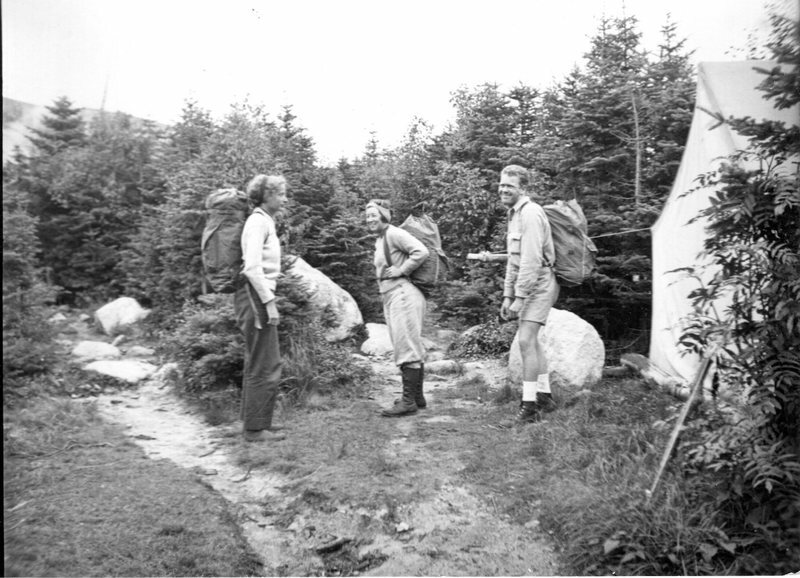 It would be another three years before someone else would manage what became known as a "thru hike," and in that year (1951), three men hiked from Georgia to Maine or from Maine to Georgia. The following year, Mildred Norman Ryder became the first woman to thru hike the Trail, and three years later, Emma "Grandma" Gatewood completed what may be the most famous thru hike of them all at age 67, becoming the first woman to thru hike the Trail alone. Throughout the 1950s and the early 1960s, hiking the entire Trail in one year was an achievement limited to a just a few hikers each year. But by the end of the 1960s, the number of thru hikers began to grow rapidly, fueled by a combination of factors, including the increasingly popularity of backpacking in general, access to better and lighter gear, and the growing popularity of endurance sports such as running. 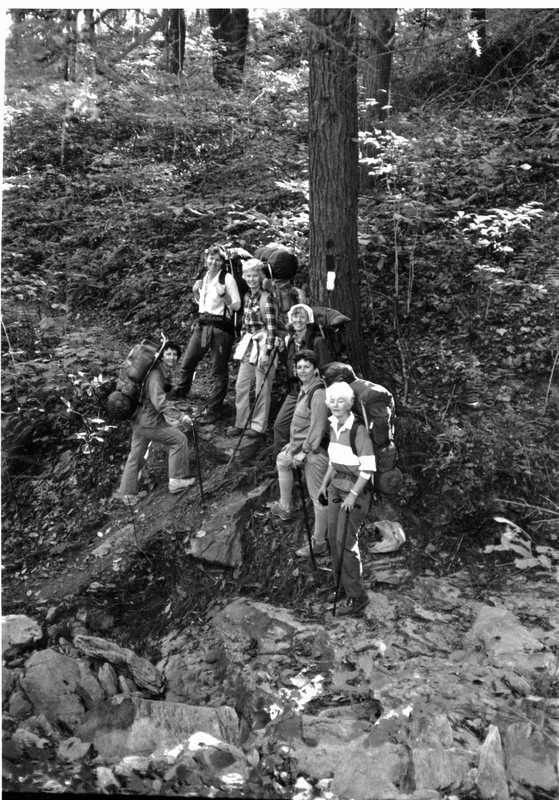 By the middle of the 1970s the number of thru hikers had grown so fast that after 1975, the staff of the ATC ended their practice of certifying 2,000 mile hikes. That year the Conference shifted to a new policy of simply asking hikers to state that they had, in fact, hiked the entire Trail for which they would receive a certificate and patch recognizing their achievement, relying on the honesty of hikers rather than a system of verification. As the number of long distance hikers grew, so too did the problems associated with overuse of the Trail. Trail club leaders began to complain to the ATC about the amount of trash being left at shelters, of the degredation of the environment along the Trail, and that it was increasingly difficult to have what they felt was a true wilderness experience with so many people on the Trail. While the complaints about litter and environmental damage were based in observable facts, the complaints about the increasing numbers of hikers betrayed a sense of loss--loss of a Trail that had, for decades, been the domain of a relatively small number of enthusiasts who now found themselves face to face with a broader public. Ever since the 1970s, the number of hikers attempting to hike the entire Trail has increased dramatically. Data compiled by the ATC on the 2017 hiking season shows more than 3,800 hikers attempting a northbound (NOBO) thru hike and just under 1,000 attempting a southbound (SOBO) or "flip flop" hike where the hiker begins at or near Harpers Ferry, hikes north to Maine, then returns to her or his starting point to hike south to Georgia. Thru hiking the Appalachian Trail remains difficult, however, because of the almost 5,000 people who reported an attempted thru hike in 2017, only 890 managed to complete their trek.